Those sparkles ! Nothing screams galaxy more than those sparkles. Love that star shaped palm pad to. Clever touch. 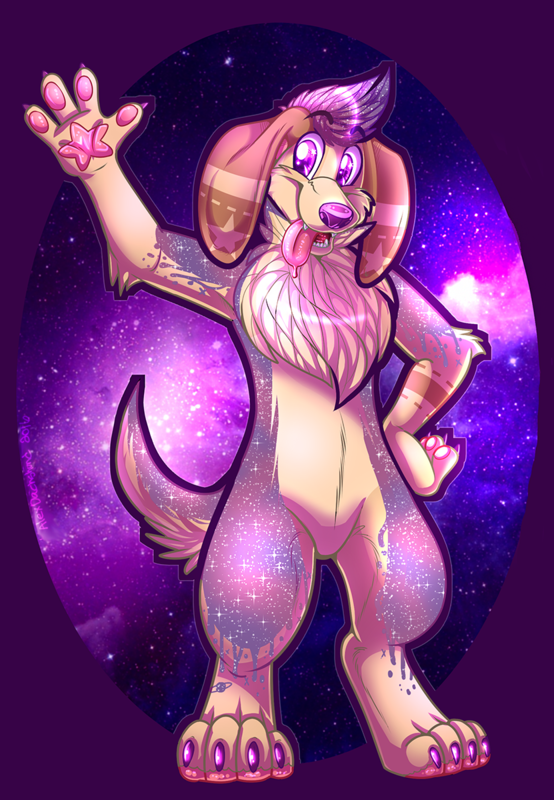 Is the purple galaxy part paint or just part of the design ? I ask because it looks like paint drips going down their limbs and it's trippy in a good way. I just really like looking at this character and want to know more about them. Also I love that tiny Saturn on their foot. Those sparkles ! Nothing screams galaxy more than those sparkles. Love that star shaped palm pad to. It's the character design. I assume it's paint. I can't wait to see their character become a fursuit! I can't wait either. What a neat design to be turned into a suit.